When you start to plan your wedding day, one of your most pressing priorities will be to ensure that your nearest and dearest will be able to attend. Not only do you want to include people who you feel would like to be there to witness your union, but also those with whom you want to share this special occasion. The wonderful thing about the 21st century is that it's never been easier to stay in touch. Often with everyone's conflicting schedules, getting everybody to the venue can result in an logistical nightmare – all the more reason to plan ahead and give your guests as much advance notice as possible – but it's definitely worth it when you get to see your loved ones on the day. While most guests just need a time, date and dress code, bridesmaids will often be more involved in the process, lending a helping hand and playing a bigger role in the wedding. But what if your bridesmaid doesn't live in the same city, or even the same country as you? Here are a few ways you can help to keep your bridesmaid in the loop in the run up to the wedding. Mobile phones make it easy to keep bridesmaids in the loop. Once your bridesmaid has accepted her role, it's important to make an effort to keep in touch, especially in the few weeks leading up to the wedding. If she's travelling from out of town, you can offer to help her find accommodation, as well as providing any necessary directions so that she doesn't have to worry once she's arrived. In addition, bridesmaids are first and foremost someone close to you, like a family member or friend, so they'll likely want to be involved in the preparations, even if they aren't there in person. The wonderful thing about living in the 21st century is that it's never been easier to stay in touch. 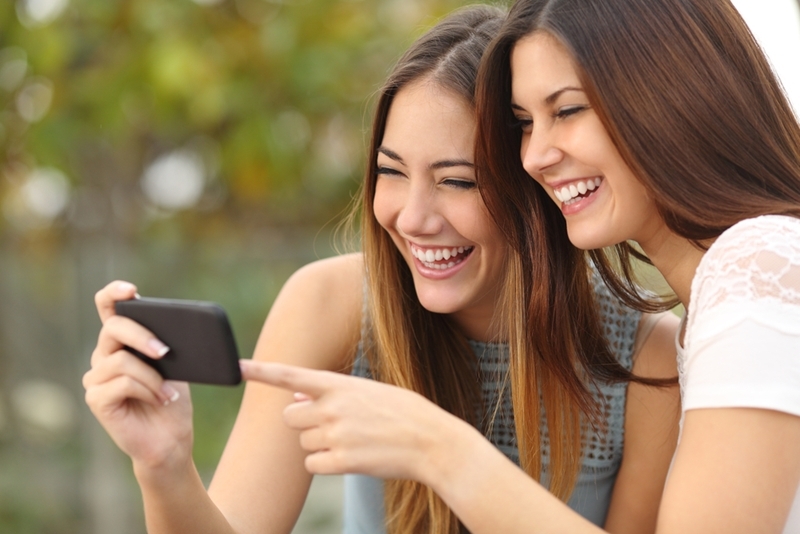 Free internet messaging via iMessage, WhatsApp or Facebook means you don't have to rack up a huge phone bill, and you can even send photos to give your bridesmaid an idea of how things are coming along. You can exchange wedding dress ideas via Pinterest, and once you've found the right one, you can send along a photo to show her what you've ended up with! In addition, if your wedding has a colour theme that you'd like to carry across to your bridesmaids' dresses, you can even send fabric swatches and photo inspiration in the mail with her invitation. This ensures that even if you aren't going to have a uniform look for all your bridesmaids, there will still be a tonal pattern to tie them all together.